Chris Young is prepping his passport for the third consecutive year sharing his shows with an international audience as he makes plans for his 2015 A.M. World Tour which kicks off in Australia. The RCA Records Nashville Artist made his inaugural trip to the UK and Ireland in 2013 for the CMA Songwriters Series. That same year he made his CMC Rocks The Hunter debut. In 2014 Young made another trek across the pond for shows in London, Dublin, Stavanger, Oslo, Gotteborg and Stockholm. Chris Young’s latest album A.M. has already yielded his Gold certified, sixth chart-topper “Who I Am With You” and Top 5 hit and Gold-certified single “Aw Naw.” His latest hit, “Lonely Eyes,” is quickly climbing the charts. 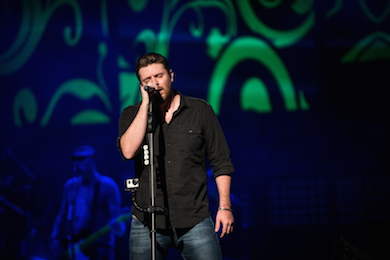 Find out more about the 2015 A.M. World Tour at www.chrisyoungcountry.com.